Canadian CD release with 14 tracks. Recorded at Atlantis Studio, Decibel Studios and Högalid Studio in Stockholm, Sweden. Additional recordings at Think Tank, Hoboken, New Jersey and at Sear Sound, New York. Mixed at Sear Sound and Decibel studios. Mastered at Masters Of Audio, Stockholm, Sweden. 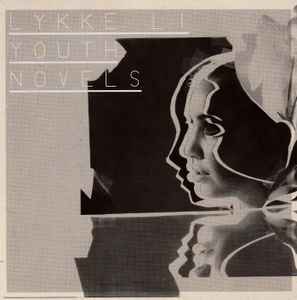 Lykke Li Zachrisson and Nils-Erik Sandberg: copyright control. Björn Yttling: EMI Music Publishing Scandinavia AB. ℗ 2008 LL Recordings under exclusive licence to Warner Music UK Limited for the world excluding Sweden, Norway, Denmark, Finland and Iceland. © 2008 LL Recordings under exclusive licence to Warner Music UK Limited for the world excluding Sweden, Norway, Denmark, Finland and Iceland. Manufactured and distributed by / Fabriqué et distribué par Warner Music Canada Co.